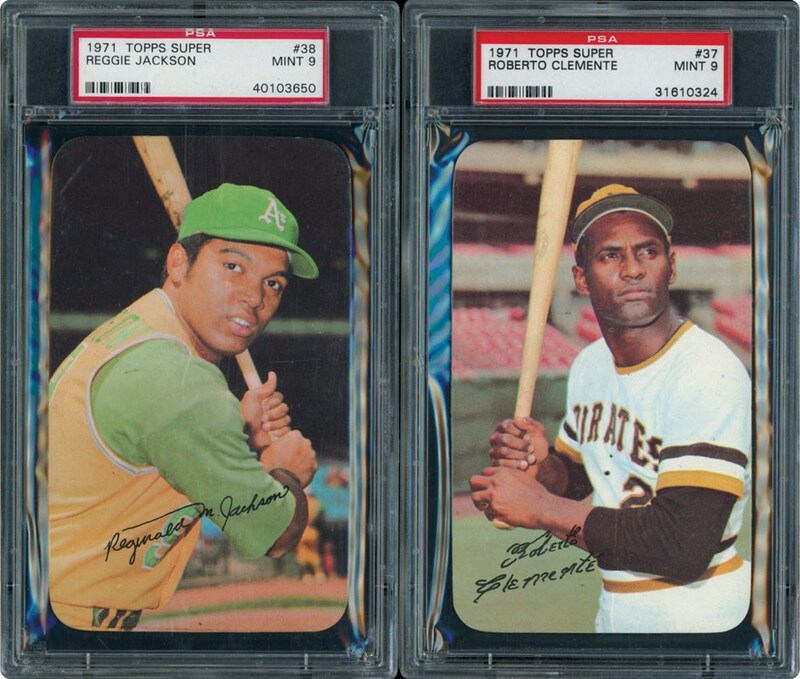 NUMBER 1 SET IN THE HOBBY!!!... 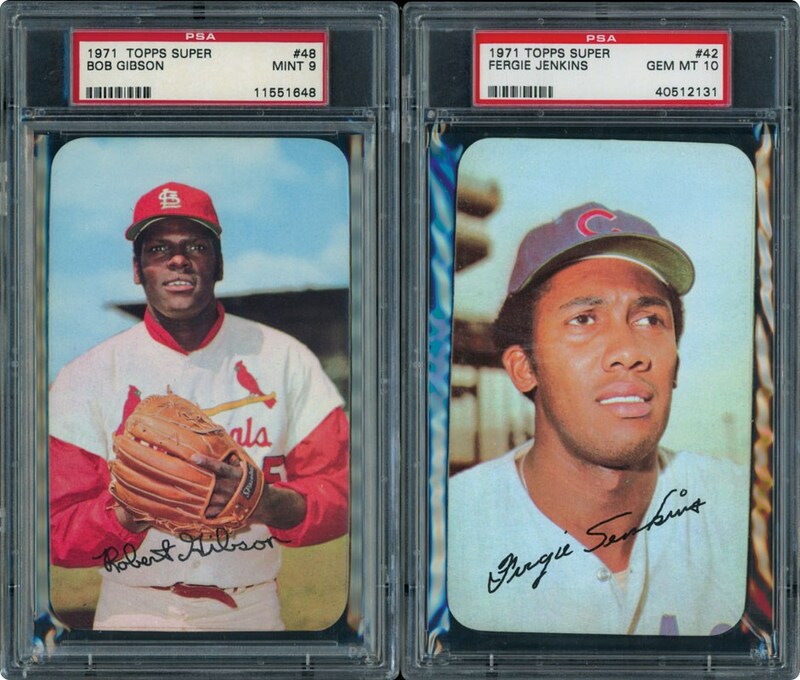 The 1971 Topps Super Baseball set contains 63 cards that measure 3-1/8" by 5-1/4". 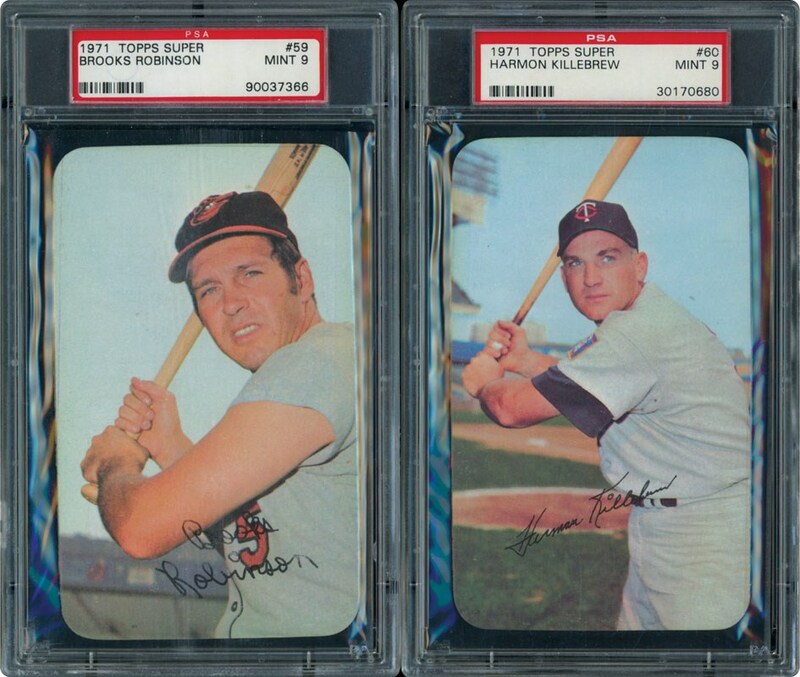 Each of the oversized cards have rounded borderless corners and showcases a posed color photograph of a player with a facsimile signature. 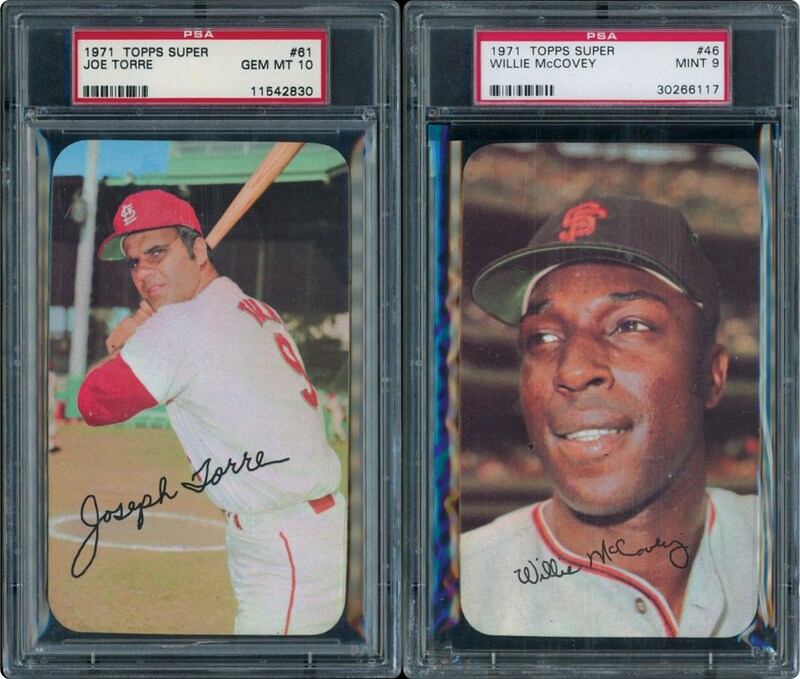 Card backs are an enlargement of the 1971 Topps issue with a small photo, statistics, biographical data, and card number all on the reverse. 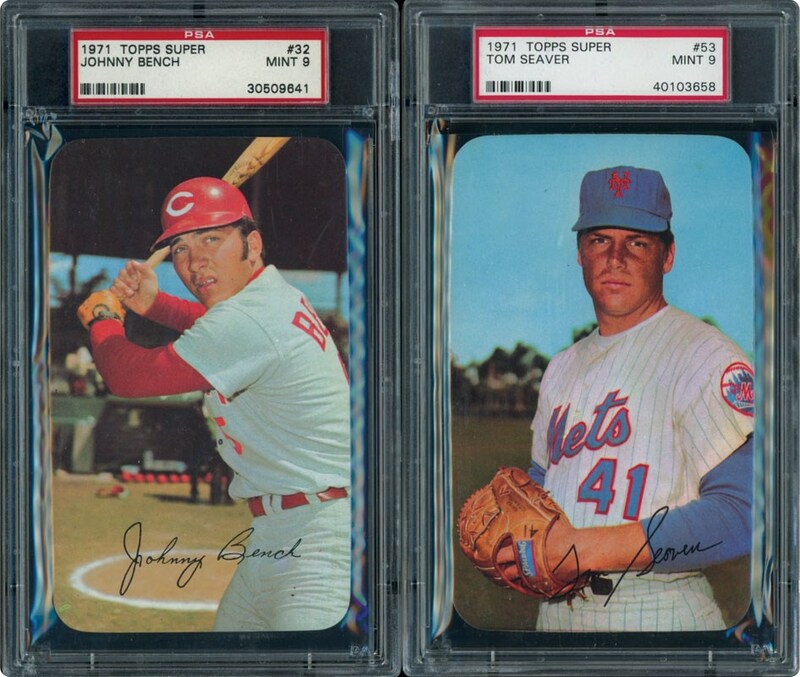 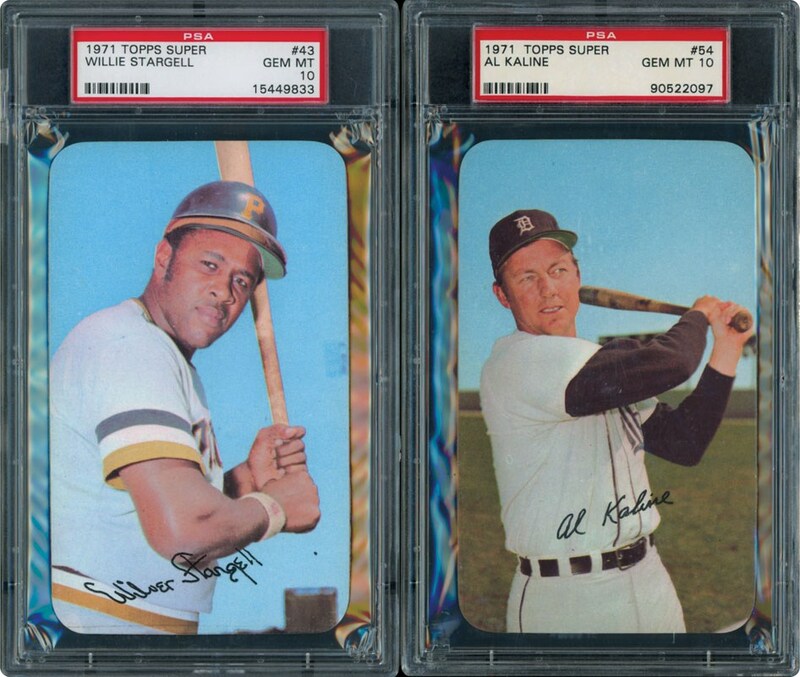 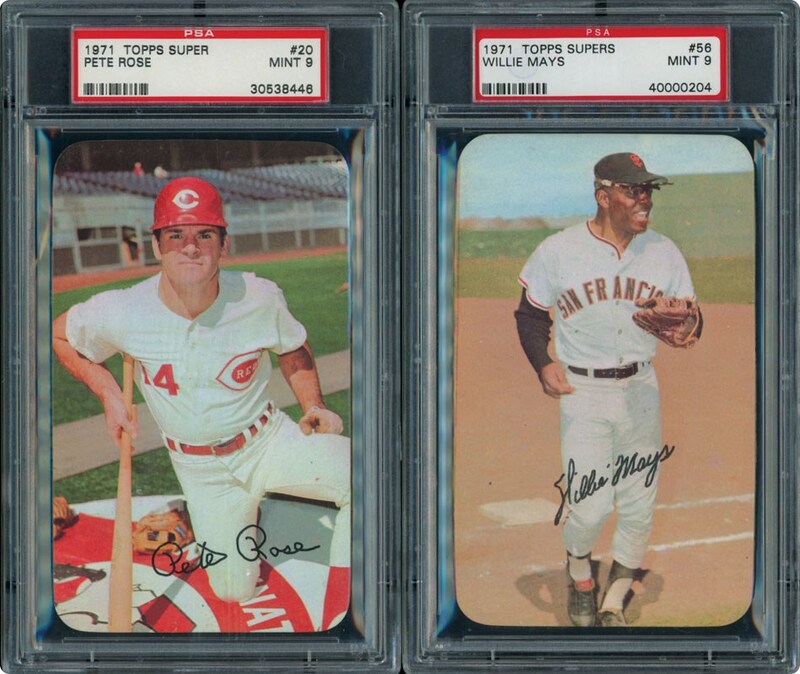 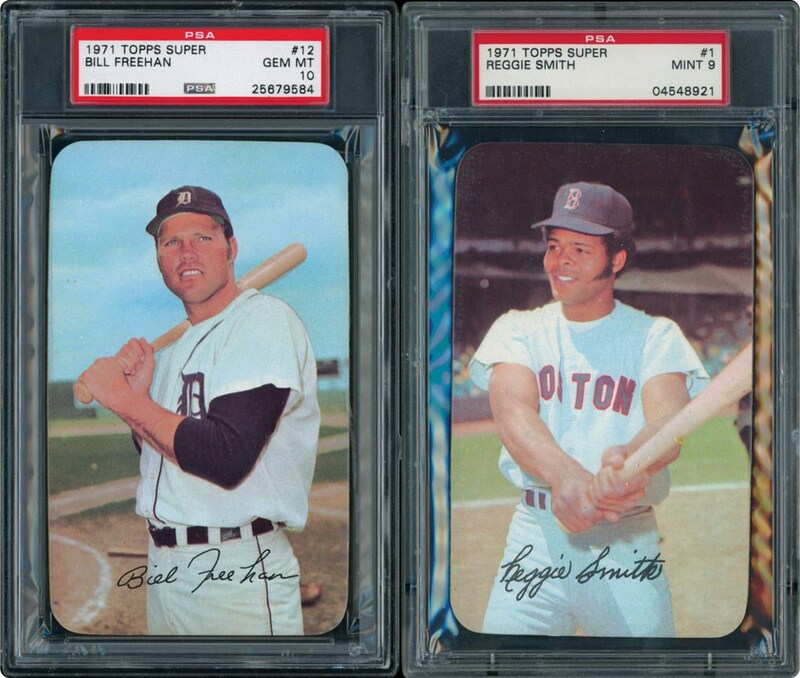 The 1971 Topps Super set has no reported scarcities, but is highlighted by Hall of Famers and superstars including Pete Rose (#20), Johnny Bench (#32), Roberto Clemente (#37), Reggie Jackson (#37), Hank Aaron (#44), Carl Yastrzemski (#49), Tom Seaver (#53), and Willie Mays (#56). 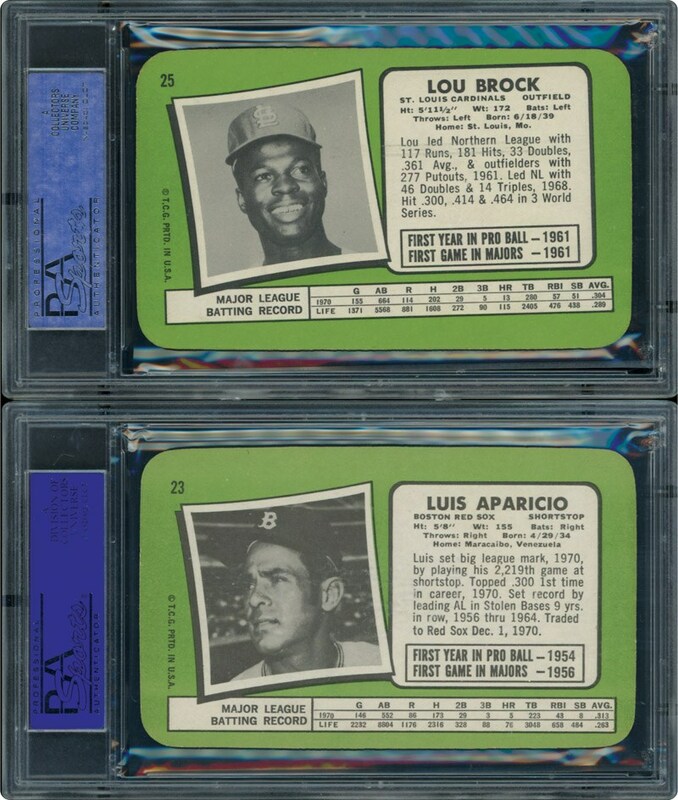 You are bidding on the #1 PSA Registered Set in the hobby with a stunning GPA of 9.27 including 22 PSA 10's and 41 PSA 9's. 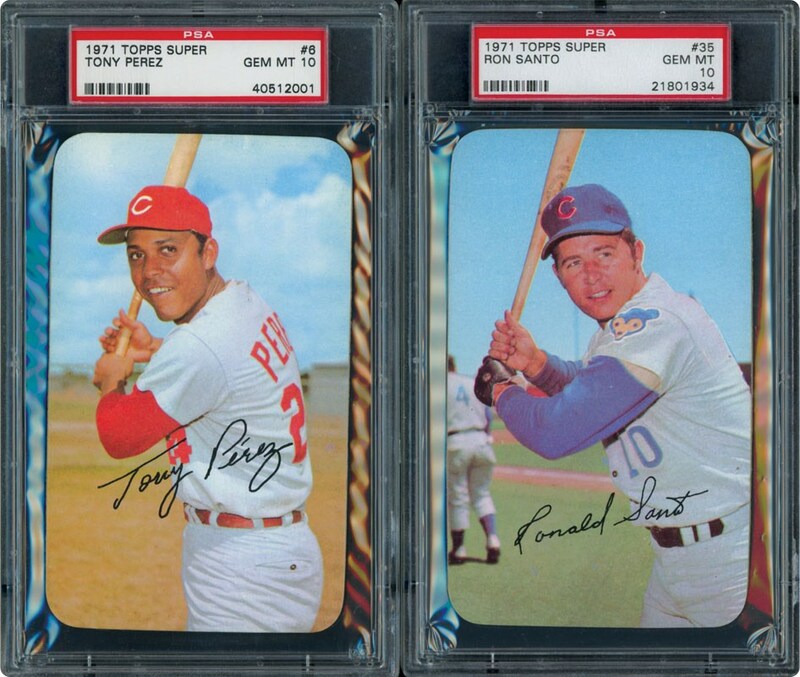 Of the 21 PSA 10's, 3 of them (Bando, Aparicio and Perez) stand alone as the one and only 10. 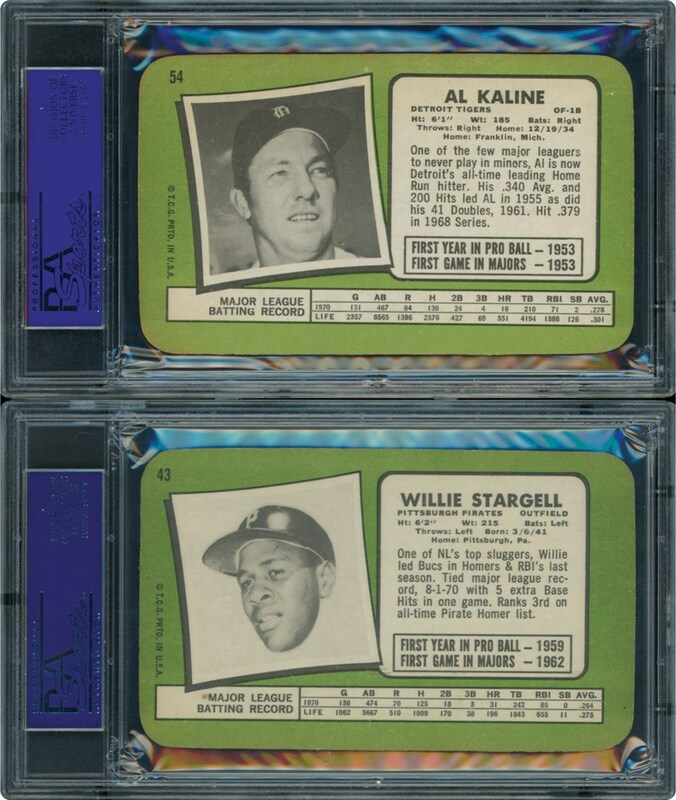 The other 18 PSA 10's are as follows: Staub, Stottlemyre, Freehan, Peterson, McNally, Petrocelli, Dierker, Millan, Santo, Agee, Allen, Jenkins, Stargell, Melton, Beckert, Fosse, Kaline, Johnson & Torre. 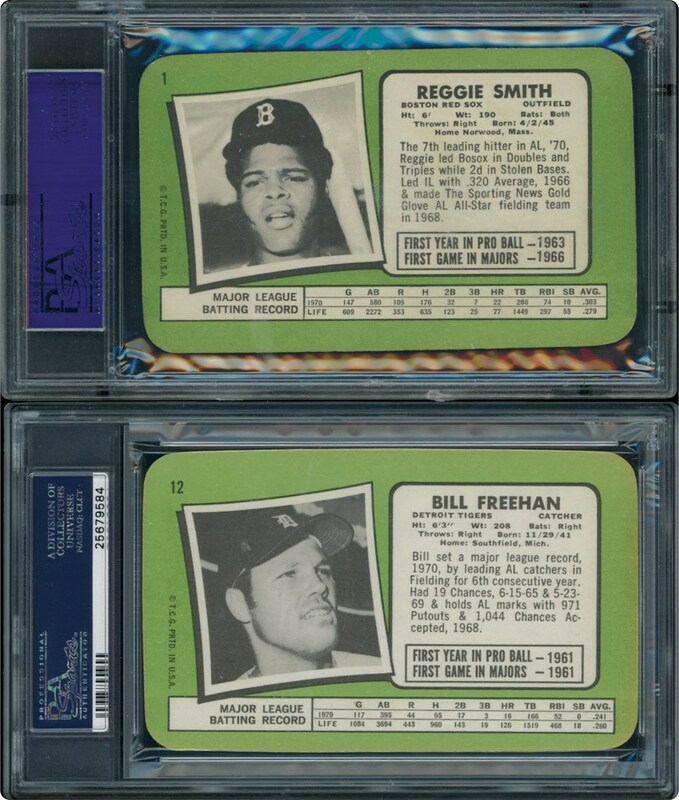 Of the 42 PSA 9's, 24 of them are the highest graded examples. 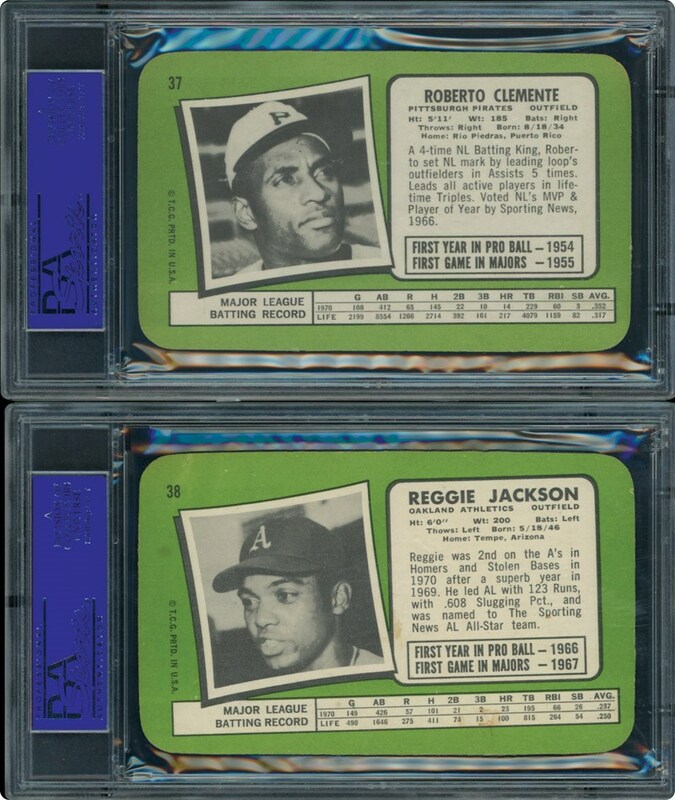 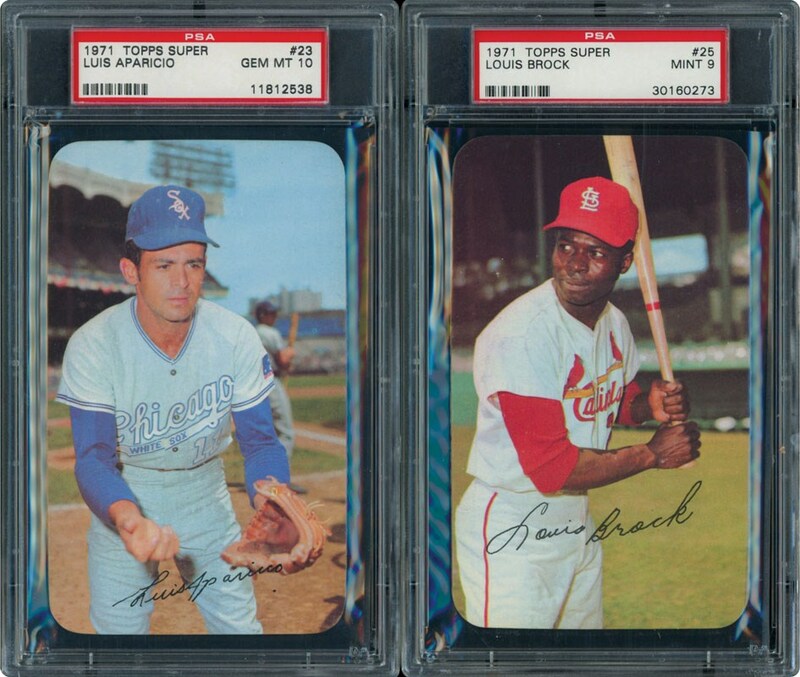 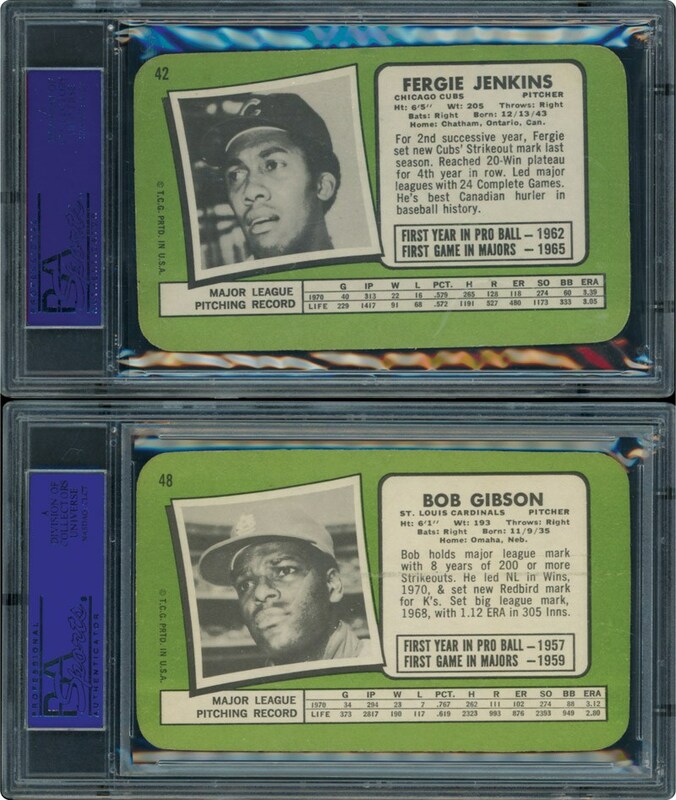 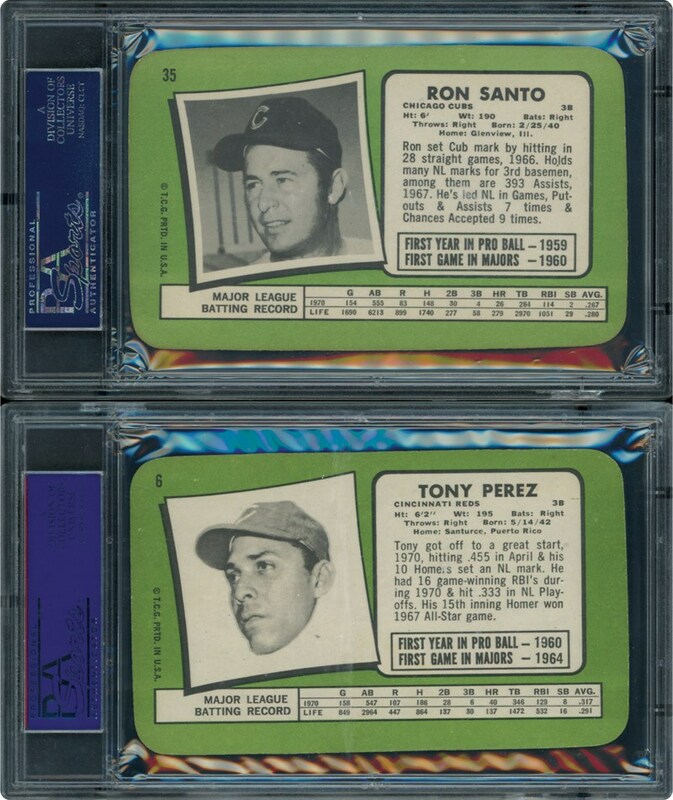 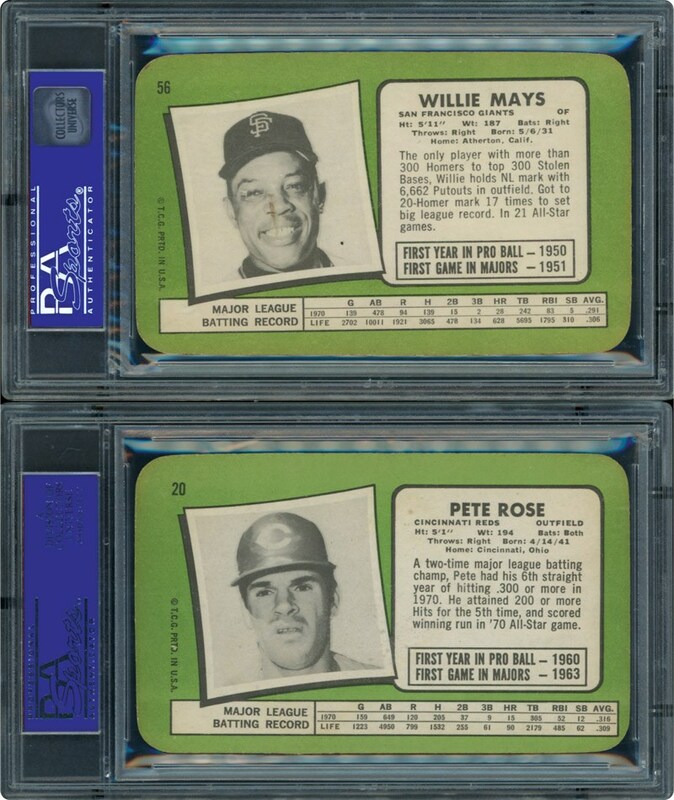 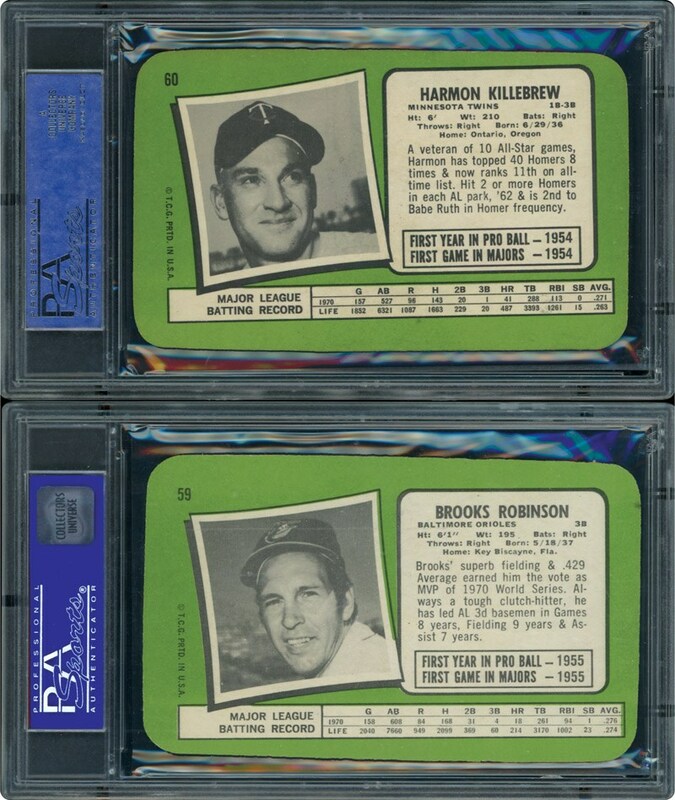 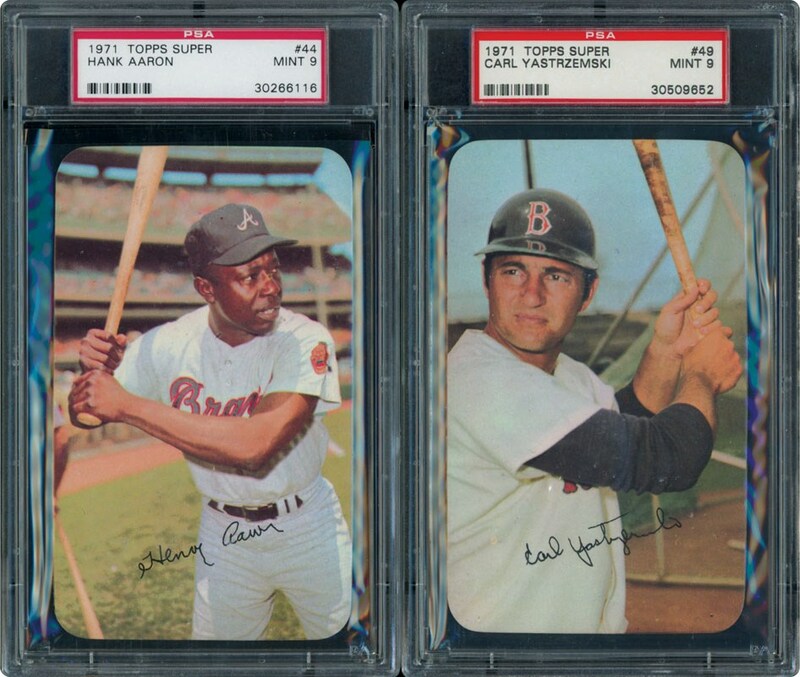 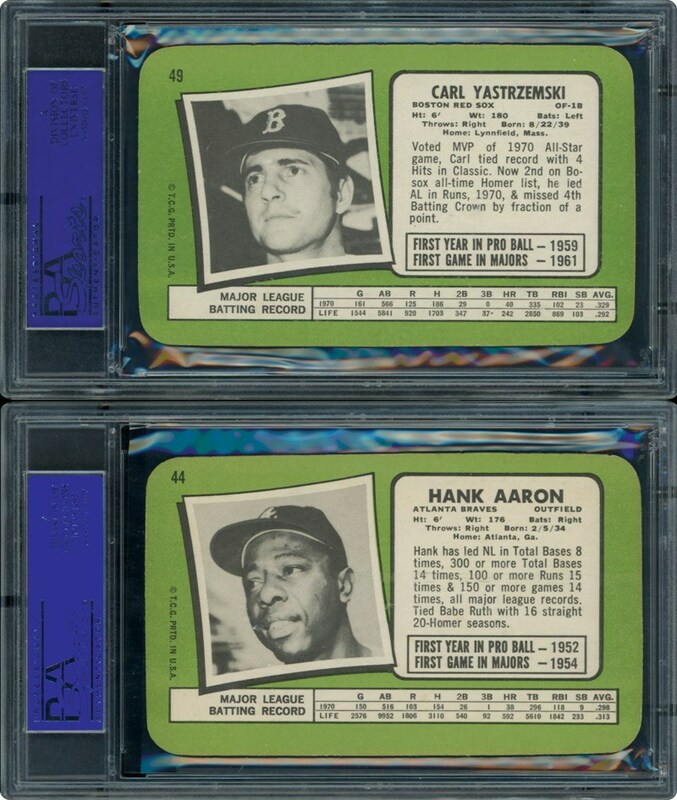 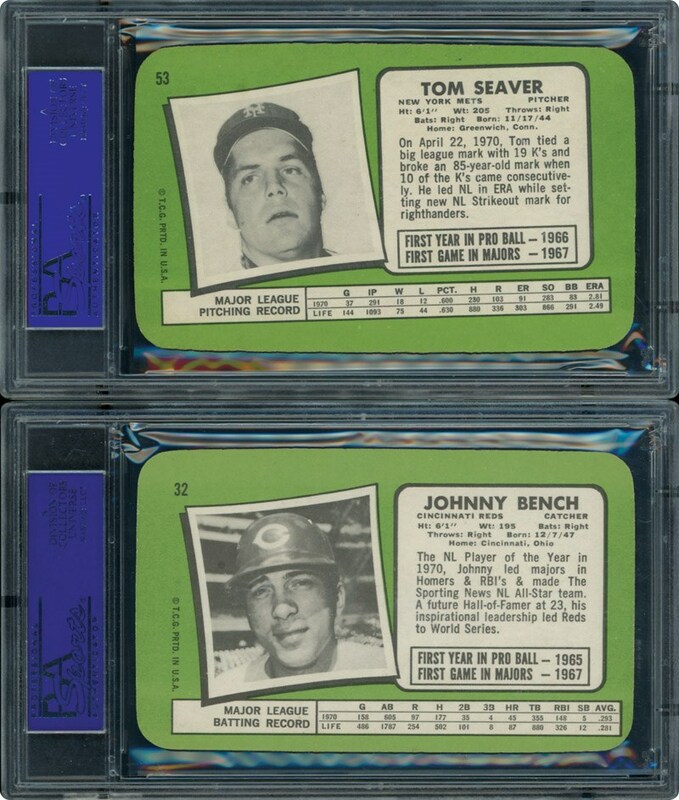 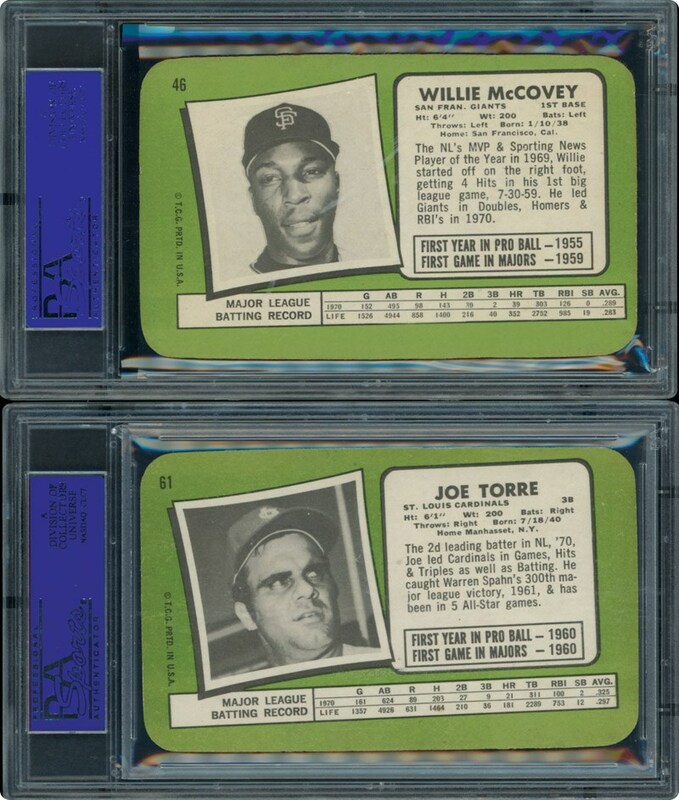 Please go to Memory Lanes Website for a link to view all of the grades of this fabulous #1 PSA Registered set.